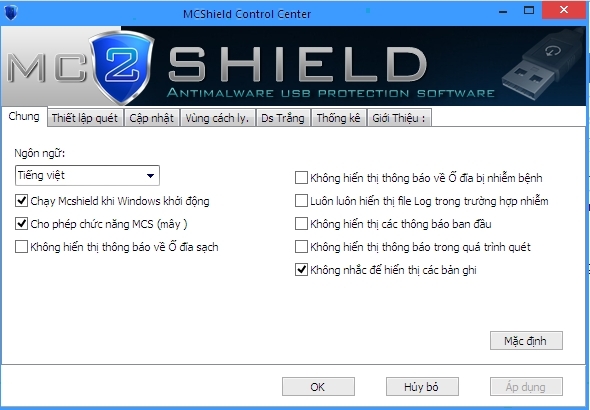 Các bạn tải file TV.lng (ở dưới), copy vŕ past vŕo C:\Program Files\MCShield, khởi động lại MCShield (tắt nó vŕ chạy lại), vŕo cŕi đặt chọn tiếng việt lŕ xong. 3Ovo se svidja korisnicima: Jimmy4, g[h]ost, E.L.I.T.E. 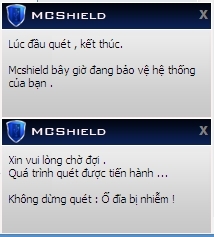 We shall report this to dr_Bora (MCShield developer) and I believe that your translation will be integrated into next MCShield upgrade. MCShield|AT|mycity.rs (replace |AT| with @). This is MCShield support mail. You may contact developers via this mail if you will for any further question you have. Just stay tuned. dr_Bora should be here later tonight in european time. Thanks a lot for the translation, we really appreciate the effort. 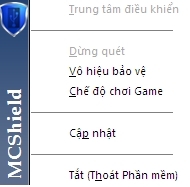 Vietnamese language will be included in the next program update. 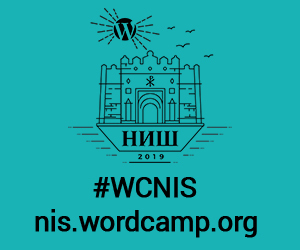 Please, send an email to mcshield|AT|mycity.rs (replace |AT| with @), we'll probably need to discuss some minor modifications (strings that don't really fit the GUI and similar issues, if there are any). I can not send an email to mcshield|AT|mycity.rs (replace |AT| with @),error, ?? ?